Cover includes Snow Texture VI by Moosplauze on DeviantArt. Stop me if I’ve told you this one. I was twelve when being a Boy Scout nearly killed me. Okay, that’s not fair. It’s more accurate to say being an idiot twelve-year-old nearly killed me. But at least twelve is a good age for a story. Have you ever noticed that child actors are the least annoying when playing characters that age? They’re not the poorly directed pieces of scenery that young children are, but they aren’t yet a whiny bundle of angst. But you want to hear about me getting myself killed. But I’m trying to build some suspense here. You know I’m not going to die because I’m narrating, unless I pull a Sunset Boulevard on you. So the only piece of information I can hold over your head is the manner of my not-quite-demise. Patience, and all will be revealed. Troop 86 was camping in the Zebra Sanctuary. If you’re a zebra enthusiast, please don’t get too excited, because we saw the zebras twice: once when driving into the area, again while driving out, and both times at a considerable distance. Zebras may be difficult to domesticate, but they’re smart enough to stay away from a horde of raving Boy Scouts. The kids in our troop were forced to wear garish orange hats and neckerchiefs with our beige uniforms so we were easy to spot and avoid. It was February, 1994. I don’t recommend camping at the Zebra Sanctuary in February. The weather made you regret letting your parents talk you into becoming a Boy Scout in the first place. It snowed about five inches the second night, and it was so cold no one was going outside to take a nighttime leak. Yellow snow marked the entrance flap to every tent. I shared an old troop tent with Stevie Miller and Oliver Jones, two kids I’d always gone to school with. They both had about six inches of height on me. Stevie was a nice enough kid, although a bit hyper-religious. My most vivid memory of being Stevie’s friend was staying the night at his house, where we slept inside a cardboard geodesic dome, a sci-fi igloo playhouse. His parents confiscated my best Mad Magazines, carefully culled from years of garage sales. This resulted in my parents half-heartedly banning Alfred E. Newman in my own home. During my short stay in the Miller house, I found a letter to Stevie from his birth parents. It was handwritten on notebook paper and several pages long, front and back. It was all about being proud of Stevie and his little sister. The letter was in a garbage can. Oliver Jones could be fun to hang out with, but with the wisdom of years I realize the kid was mentally disturbed, maybe a sociopath. Even on his medication, the kid could not pass a stick on the ground without picking it up and attacking people with it. He set fires and killed any creature smaller than a dog he could get his hands on. I don’t know if he wet the bed to complete the Macdonald triad. The last time I played at Oliver’s house, he stuck an M-1000 firecracker in an ant hill. From a safe distance, I watched as the explosion covered him in vengeful red insects. The guy doesn’t turn up in a Google search, so I fear the worst for him. Sometime after midnight in the Zebra Sanctuary, the weight of the snow collapsed our tent on top of us. The weight of the snow and the earthy smell of canvas made me think I’d been wrapped in a tarp and buried alive. It took us only seconds to realize what had happened. I pulled on my hiking boots, which were actually just old work boots worn smooth on the bottom. In a rare display of personal responsibility, we did not wake any adults and put the tent back up ourselves. The old troop tents were a pain in the tuchus to set up, and on a sunny day the job took a half hour and all the elephants from Dumbo. That freezing night, ankle deep in the snow, we got the place livable again in about three minutes. The next day, as we broke down camp and prepared to return to worried mommies and hot bubble baths, I made my dad angrier than I have ever seen him before or since. I’m a father now myself, and I can imagine the alchemical mix of obligation and love that forced Dad into the trip. I’m sure they were short on drivers and asked him to help out. Since every car is a ticking time bomb triggered by an odometer, I’m sure he weighed the danger of putting that many miles on the minivan against his desire to get me away from my Nintendo and around other kids for a weekend. With the exception of a few years where we dominated the annual pinewood derby competition, my dad got along with everyone. I’m sure he was able to shoot the bull with the other dads and have an okay time. But he was a high school art teacher, and the thought of spending his weekend trapped in a car with stinky, annoying middle school boys probably made him break out in hives. But he’s a good guy, so he sacrificed time to himself and joined our amateur performance of the Donner Party. I don’t know when I lost the minivan keys. I was wearing my puffy coat as we took down tents and packed up cars, and the keys were in my pocket. My hands were numb even inside my gloves, and I can only guess the keys were dragged out as I tried my best to stay warm without looking lazy. I retraced my steps three times, but the crisscrossing footprints of the troop ruined any chance of finding the keys buried in the snow. Even now, I can taste the fear of that confession. It wasn’t the first time I had embarrassed Dad on a scouting trip. I was socially awkward, but I was self-aware. I don’t remember what he said when I told him the keys were gone, but I remember his anger burned hot enough to melt the snow still falling around us. 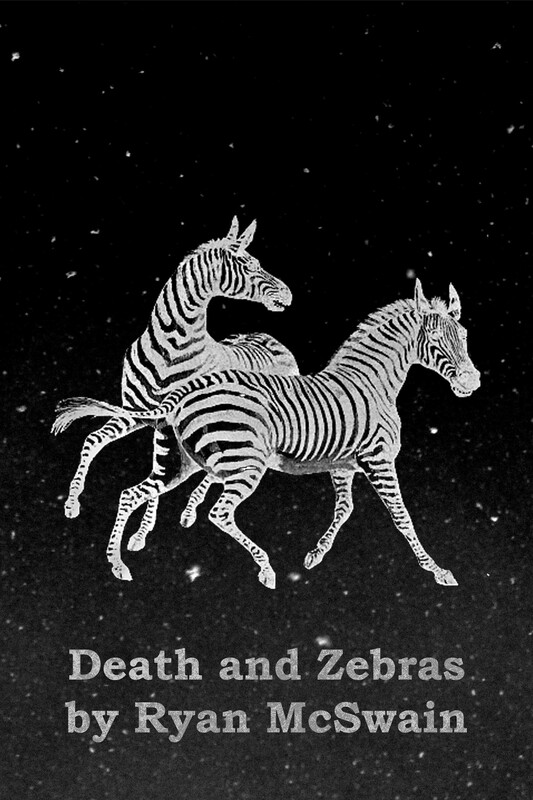 But even though no jury on earth would convict him, he did not kill me and leave me for the zebras. He’d planned around his idiot son—he had a spare key to the van. So the tent didn’t smother me and my father didn’t commit justifiable filicide. But between the two dangers was a third, when I went hiking with Stevie and Oliver. A cliff worthy of Wyle E. Coyote bordered our camp on one side. The view was gorgeous, at least when it was above fifty degrees, but the worrywart in me questions the decision to put that many common-sense impaired children next to a sudden drop. If any of us had actually left our tents to take a whiz on those freezing nights, you’d better watch out. That first step’s a doozy. Stevie and Oliver were obsessed with climbing down that cliff. I don’t know how we got away from the rest of the troop. Maybe we had a little free time after breakfast and before tearing down camp. Maybe the dads needed a few more cups of coffee to face the terror of forcing us all to work in a coordinated effort. Whatever the reason, three moronic scouts escaped the weary gaze of our caretakers and took a narrow path over the edge of the cliff. We weren’t Sherpas—heck, none of us even had our rock climbing merit badge—but it wasn’t a sheer drop. A well-traveled path led down to the rocks a couple hundred feet below. On an average day, it would have been a pleasant hike for anyone not suffering from acrophobia. But let me remind you, this day wasn’t Tatooine. It was Hoth. Snow hadn’t built up on the path, but it was still falling and the wind was sharp as razor wire. We sidestepped patches of ice and used rare tufts of dead grass as handholds. Our feet were numb in our boots, and our gloves were off so we could hold onto the rock. We were about halfway down when the path separated the suicidal men from the self-destructive boys. Imagine a movie where a lunatic climbs out the window and shimmies his way around a corner on a tiny ledge. This was nature’s white-knuckle equivalent. Oliver, as I’m sure you’d imagine, stormed onward without a thought. Have I mentioned he doesn’t turn up in Google searches? The guy is probably dead or in prison. Peer pressure was rarely a problem for me growing up, mostly because any kid cool enough to get into real trouble wanted nothing to do with me. But this time I went with the flow. I followed Oliver, and Stevie blocked my escape. The ledge was a good fifteen feet of should’ve-known-better. It was too narrow to walk without turning sideways. I started across, facing toward the cliff with the shortcut to the bottom at my back. Halfway to relative safety, my smooth ten-dollar boots slipped on the ice. I kept my balance, but don’t ask me how. I reached for a grip, only to find rock smooth as polished obsidian and covered in a quarter inch of ice. I looked down—not over-the-edge down, for goodness sake, just at my feet—and I saw nothing but a skating rink for several feet in both directions. My feet barely fit on the ridge, so I couldn’t crawl. I was stuck. My mom used to tell me kids picked on me because they were jealous of how smart I was. If you could have told me that as my terror grew on that cliff, I would have told you the truth. They picked on me because I didn’t know when to stop running my mouth. I was just another damn fool. And I would have asked you to tell my mother that I loved her, because I knew I would never see her again. Dad was back at camp, still debating whether he should trust me with the van keys. He was a few hundred yards away, but he might as well have been on the other side of the planet. My father could not help me. It was just me and the peanut gallery. “Come on, dork,” said Oliver. Maybe his medication did help him concentrate, because he had reached the other side without incident. Their experience, their perception of the event wasn’t lining up with mine. Maybe it’s because I was a little shorter, and I couldn’t reach the same handholds. Maybe it was my boots, which were made for concrete, not this deadly terrain. “Don’t be a wuss,” Oliver said. In that moment, I knew I was about to die. I was sure of it. It made no difference if I went forward, went backward, or stayed where I was. I would slip and fly over the side. This fact was inevitable. It wasn’t a fall that could end with a broken arm or leg. We were still a good hundred feet up. Screaming the whole way down, I’d bounce off the side once, twice, three times. I wouldn’t lose consciousness. If I was lucky, I’d land on my head. My buddies would go back to camp and tell the grown-ups. This was before cell phones, so it would be hours before the authorities came for the body, a splattered mess on the rocks below. Would they send a helicopter? Probably not. At least my body would be easy to spot because of that stupid orange hat—assuming my head stayed attached to the rest of me. My dad would have to tell my mom. “G’wan, move it,” Stevie said, shoving me with his elbow. I broke out of my trance and doddered along the death slide a nanometer at a time. An epoch later, I defied all logic and expectation to plant my foot on glorious dirt. Before I could say there was no way in hell I was going back out there, I saw the path hadn’t ended after all. It had curved behind the rock ledge hazard, rendering my near death experience avoidable but not unnecessary. We hightailed it back to camp so I could lose a set of keys.